They say a picture tells a thousand words. So how do we attempt to describe the indescribable? 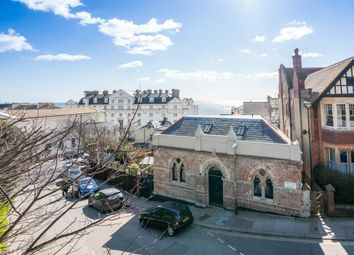 This property is one of the most historic, cleverly converted homes in St Leonards. 3,800sq.Ft, with 4 bedrooms, 3 bathrooms and an open plan kitchen/reception room to buy for. One not to miss. Simply Stunning this unique property truly is one of a kind, built in 1875 it has the most intriguing story behind it. 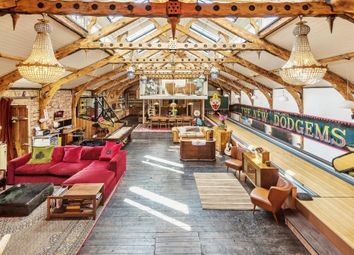 Featuring a bowling alley & cinema room this really is contemporary living in a house full of history. Benefiting from 3 bedrooms, 2 ensuite's, and an outside sun terrace. 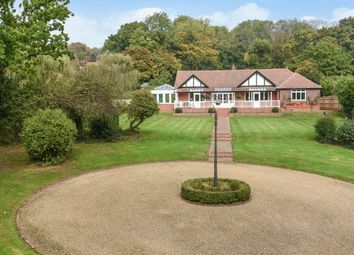 Beautiful Detached Family Home Set In 1.5 acres. Rural Yet Accessible, Walk To Crowhurst station. 5 Bedrooms & 4 Bath/Shower Rooms. Bespoke, Open Plan Kitchen/Dining Room & Formal Drawing Room With Open Fire • Office/Study. Integral Annexe Potential. Landscaped Garden With Swimming pool & Lake. 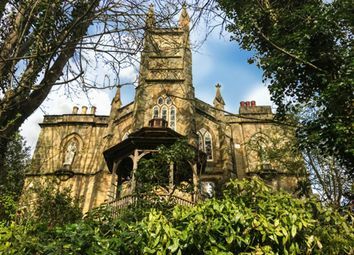 Guest house for sale with owners accomodation - Established business with exemplary customer feedback, Victorian property, sympathetically restored. Exceptional and imposing detached period home with grand proportions, beautiful period features and an immaculate finish throughout. Located in one of St Leonards most highly sought-after residential enclaves complete with extensive rear gardens, off road parking and added garage. A most impressive Victorian detached house in a secluded road, set within attractive landscaped gardens, and with its own private heating swimming pool. 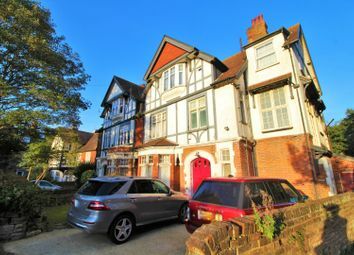 A unique, exceptionally well presented family home, featuring a stunning open plan kitchen diner; a welcoming living room, open through to large dining room with beautiful bay window; in addition to a cosy drawing room. With a grand entrance hall, and a splendid wood panelled staircase leading to the galleried landing, enhanced by the eye catching stained glass window. There are four bedrooms to the first floor, two with ensuite, a family bathroom, and separate W.C. Ascending a second internal staircase, up to the second floor spacious landing, with three generous bedrooms, and a family bathroom. Views across the suburban woodland from each room, as well as the mature landscaped rear garden with a fantastic swimming pool to enjoy all year round, this property is highly recommended to see for its character and natural light throughout. 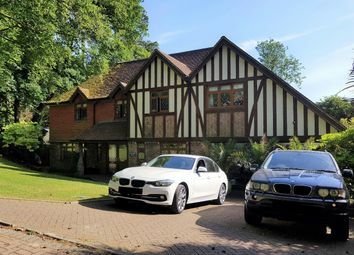 The impressive style of this house immediately stands out as you enter off the quiet tree lined no through road, in to the private sweeping driveway. Block paved allowing parking for at least 3 cars and easy turning circle. Bordered with low maintenance shrubs and trees. Hedge to the right hand side and panelled fence to the left and front. Beautiful character large front door and enter in to the enclosed porch, with flag stone tiles, and intricately decorated stained glass windows built in to the solid wood inner porch. A grand entrance hall with sandstone tiles and extra wide stair case leading to the galleried landing. The light drawn through the oversized square stained glass, bounces sunlight through each of the reception rooms. 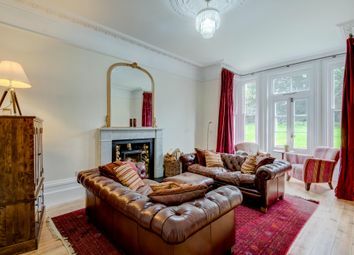 A cosy drawing room with twin full height windows facing south. Fitted carpet. 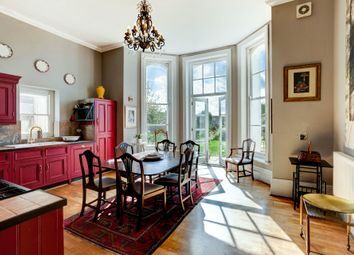 Stunning dining room with high ceilings, feature grey marble fireplace, wood flooring, and detailed rose and cornicing, plus a circular bay window with tall windows. 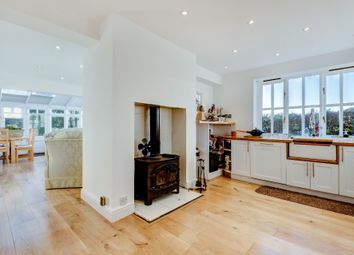 Open plan through to the living room, which overlooks the attractive rear garden. White marble fireplace, fitted carpet, Victorian cornicing and detailed rose. A bespoke kitchen diner with fitted white base units, stainless steel sink, built in 2 x twin ovens with warming drawer, space for American style fridge freezer. Island with built in twin drawer dishwasher, stainless steel sink, and pop up charging station. Porthole for viewing the property's own well, which is situated beneath the kitchen. Grey marble effect work top. Wood effect flooring. Superb triple velux windows making it a light room, with bi-folding doors spanning the length of the dining area. Useful and spacious utility room. Ideal room for guests or used as a gym. Two windows overlooking the front garden. Downstairs walk in shower room, with W.C. And wash basin. Off the grand hall, a tucked away W.C. With wash basin. An excellent space for storage, potential wine cellar, or movie theatre. A stunning first floor landing with light filtering through all the rooms from the magnificent stained glass window. A good sized master bedroom with twin aspect, overlooking the treetops and garden. Oversized bathtub, with W.C., and wash basin. Large window. Far Eastern themed room, with large bay window overlooking the garden. Walk in wet room with mosaic sandstone tiling, W.C. And wash basin. White porcelain sliding doors. Double bedroom with twin windows facing south. Double bedroom with twin windows overlooking the garden. Modern bathroom suite with terracotta tiles, bath with shower over, W.C. And wash basin. Sand coloured tiles, with W.C. And wash basin. Fantastic guest or teenager room, with double aspect outlook, and incorporating a cosy snug area. Good sized bathroom with bath, separate electric shower, W.C., and wash basin. Double bedroom with sloping ceilings. Plumbing for washing machine or a third bathroom. 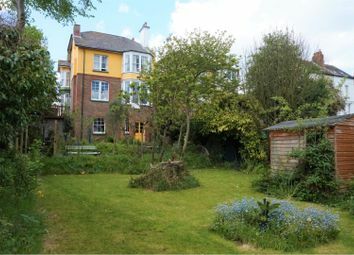 A lovely south facing garden, bordered with mature shrubs and seasonal flowers beds. Leading from the kitchen doors, and also accessed via the side gates, there is a patio along the length of the house, with low level balustrade. Stairs lead down to the peaceful garden, with lawned area, part patio, and a pleasant gazebo with seating area (included in the sale). There is a luxury heated swimming pool with solar effect electric cover, enabling you to swim all year round. We have lived here for 7 years and absolutely love everything about the house. It is incredibly warm and easy to enjoy, especially while relaxing and entertaining with friends and family. We have faithfully restored and retained as many original features as possible, whilst opening up the house to create as much natural light throughout. The pool is fantastic for us, and for the children to spend all day playing around the garden. Gas fired central heating system with twin boilers, all serviced regularly. Double glazing throughout. EPC - 2011 - Please note the property has undergone a lot of modernising including new boiler system since the last EPC was carried out. Total Floor Area = 451 m2 / 4855 ft2 Viewing by appointment with Patrick Oliver. Note: These details are issued on the understanding that all negotiations are conducted through Patrick Oliver. They do not constitute an offer or form part of a contract and whilst they are believed to be correct all statements are made without responsibility on the part of the agents or the vendor. Neither vendor nor agent can make or give representation or warranty whatever in relation to this property. Services, Heating and Appliances described have not been tested by the Agent. You may store and use the material for your own personal use. You may not republish, retransmit, redistribute or otherwise make the material available to any party or make the same available on any website, online service or bulletin board of your own or of any other party or make the same available in hard copy or in any other media without the company’s express prior written consent. The owners copyright remains on all reproductions of material taken. 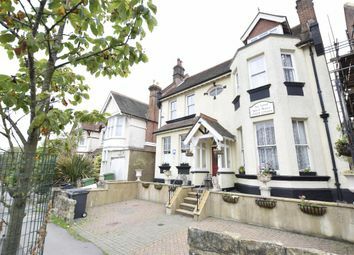 A fine example of a Grade II Listed Victorian Villa designed by Decimus Burton, within a short walk of the trendy shops, cafes and restaurants and the seafront, with 3 receptions and 3 bathrooms. 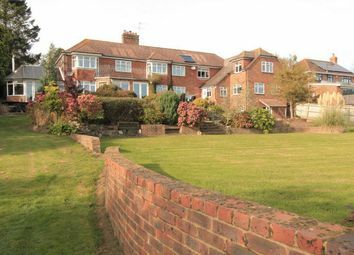 Executive style detached house situated in a quiet lane on the Northern outskirts of Hastings. 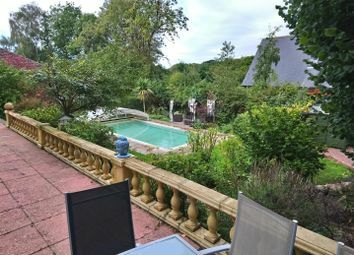 Set in to a landscaped hill with beautiful views of the neighbouring countryside this is the perfect house for entertaining guests or to enjoy as a family. 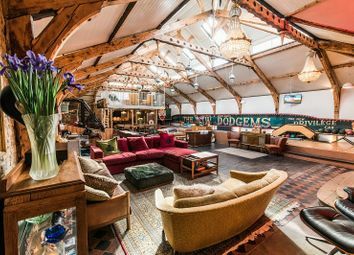 Spanning over three vast floors the accommodation here boasts a 28' x 13' reception room, five bedrooms, a cinema room and a heated 20' indoor swimming pool. Accessed via a large, light entrance hallway is the main living space which offers ample space for relaxing and dining. And sliding doors which open on to a rear terrace, the modern fitted kitchen is open plan to the dining area and also benefits from a smaller separate kitchen/utility area. The integral double garage, study and a modern shower room are also located on this level. 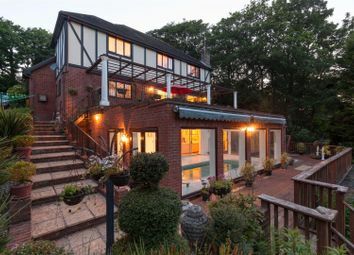 The lower level is currently used as an entertainment area with a cinema room and four sets of French doors opening from the pool room to the rear terraces. Five generously proportioned bedrooms sit on the first floor with the master benefitting from a large en-suite bathroom. To the front of the property there is a driveway leading to the double garage and providing off road parking for multiple vehicles. Enviabley positioned on this sought after road within St Leonard's is this substantial, detached, edwardian residence which affords a wealth of period features throughout and well-proportioned accommodation arranged over three floors comprising entrance vestibule, spacious entrance hall, two grand reception rooms with high ceilings and fireplaces, sun room located off reception room two, a third reception room which opens onto an impressive kitchen/dining room which is the hub of this substantial family home. This delightful kitchen/breakfast room has a separate utility room which has access into an integral double garage. On the first floor, off a spacious landing are four double bedrooms, the master bedroom benefiting from an en-suite with a roll top stand alone bath and separate shower enclosure, the bedroom benefits from views towards the sea and Beachy Head. On this level is a further family bathroom and separate shower enclosure, stairs rise from the first floor to the second floor to find a fifth double bedroom with an interconnecting room. Furthermore, there is a self-contained, one bedroom annexe which joins the main residence but can be completely shut off to offer potential home and income. The property benefits from having gas central heating and mainly double glazed windows throughout and has been significantly improved by the current owners. 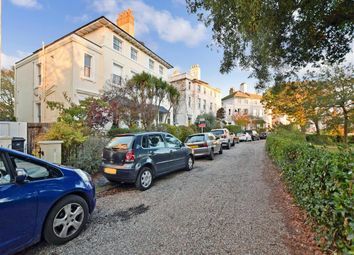 A delightful feature of the property is the in and out drive to the front providing off-road parking for numerous vehicles and a well-proportioned private enclosed garden to the rear. 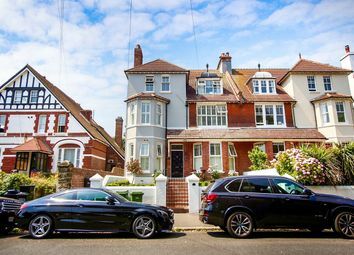 The property is conveniently located within reach of bus routes giving access to Hastings town centre with it's comprehensive range of shopping, sporting, recreational facilities, mainline railway station, seafront and promenade whilst also being within a popular schooling catchment. Please call the owners agents now on to book your immediate viewing to avoid disappointment. An exceptional detached country residence offering grand proportions throughout, located in the quiet village of Crowhurst, on the outskirts of St Leonards On Sea. This excellent six-bedroom home offers 3/4 of an acre of land and over 2,800Sqft of versatile living space spread across two floors. 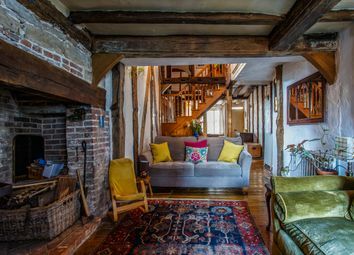 A Grade II Listed 5 Bedroom period residence with a heavily timbered interior and medieval origins, a superb 45 foot long reception room, an interesting split level floor plan and interesting winding staircases. An exceptional grand Victorian seaview residence offering character and elegance with substantial room proportions. Set upon a hilltop location commanding panoramic southerly views along the Sussex coastline and many miles of the English Channel. 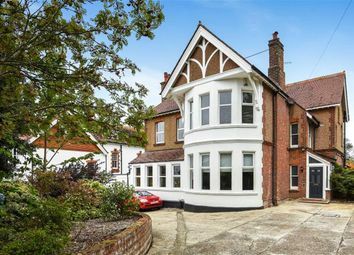 A stunning and spacious victorian home with sea views. This family home is a must view home for anyone looking for fantastic sized living accommodation arranged over three floors. This property offers a wide range of uses and versatility due to the layout. 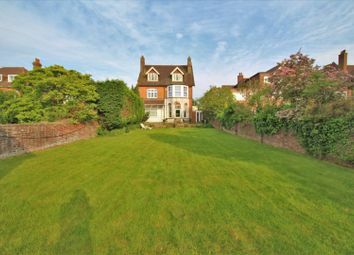 The property comprises an entrance vestibule and inner hallway, a large living room with a bay window to front. There is a dining room, kitchen, breakfast room utility room, cloakroom/WC, utility room, bedroom and sun room on the ground floor. The first floor offers four bedrooms, an en-suite and a family bathroom/WC. The top floor has three further bedrooms, a kitchen/utility room and a shower room/WC. To the front and rear there are gardens which are mainly laid to lawn with an abundance of shrubs and bushes. EPC grade E.